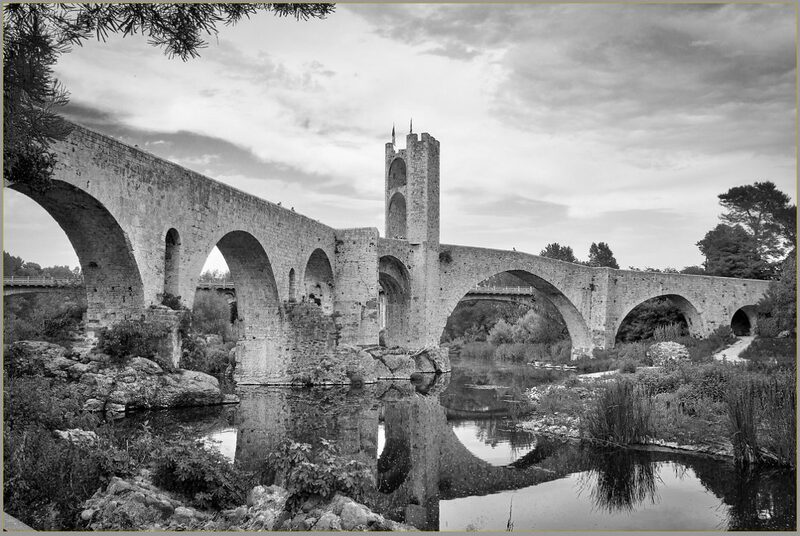 The medieval town of Besalú sits north of Girona. 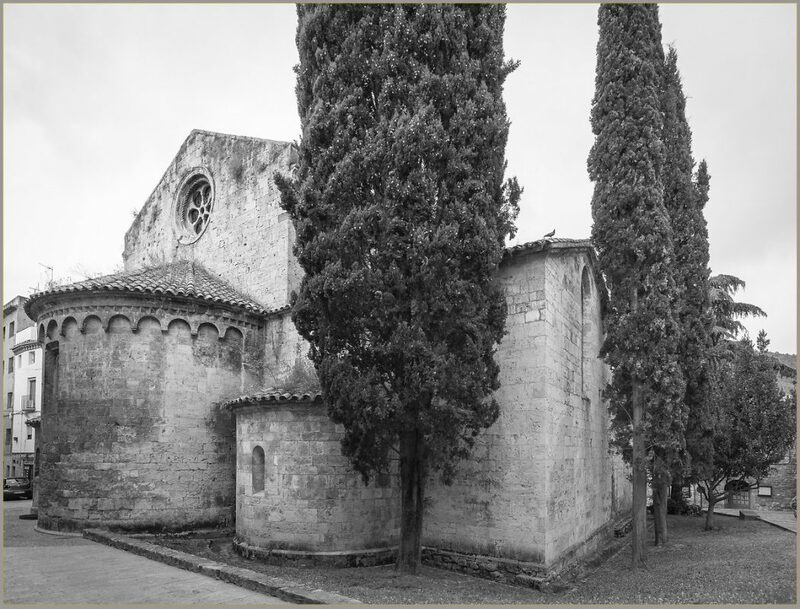 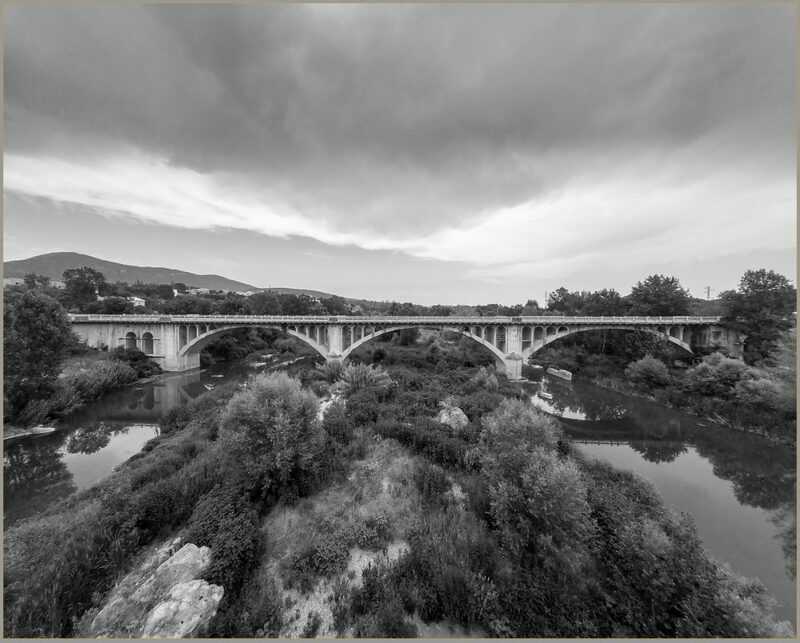 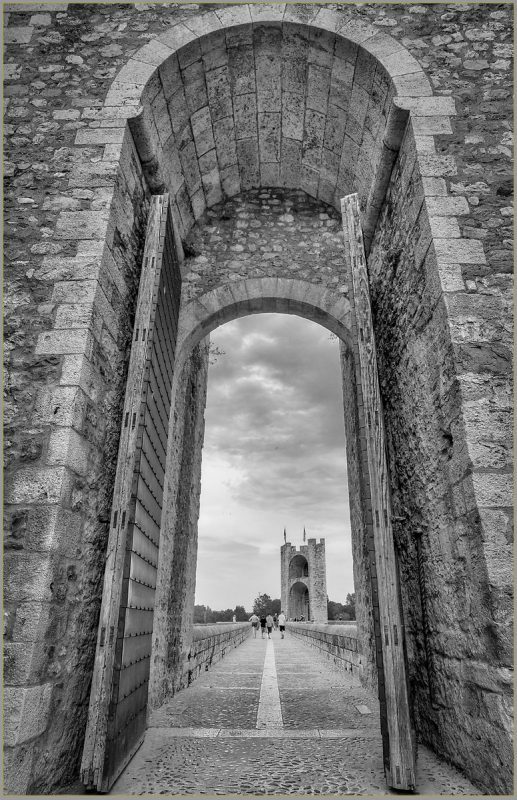 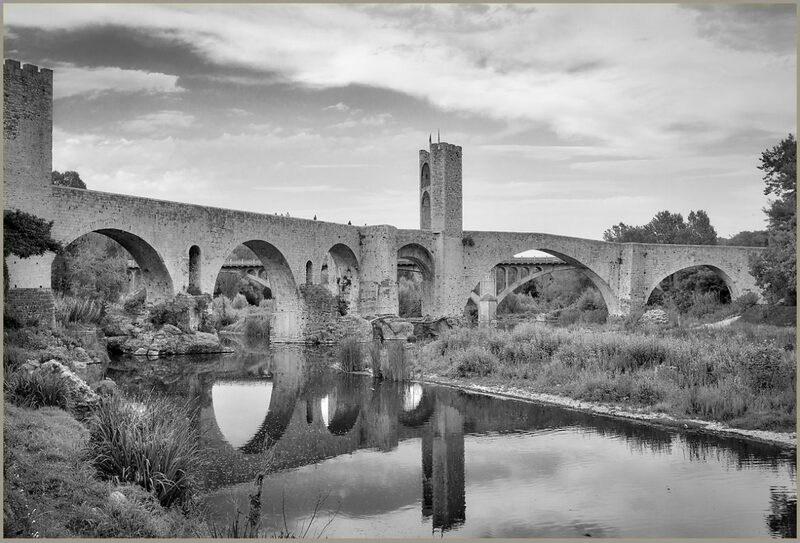 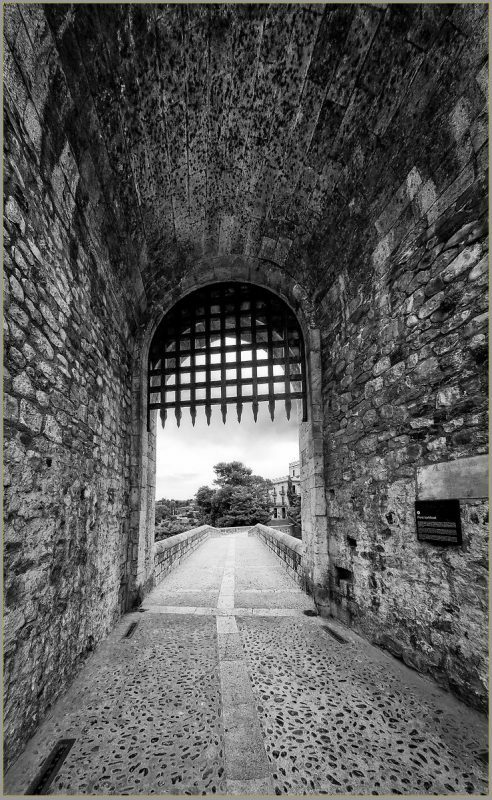 You approach over a grand romanesque bridge with huge doorways over the river Fluvia. 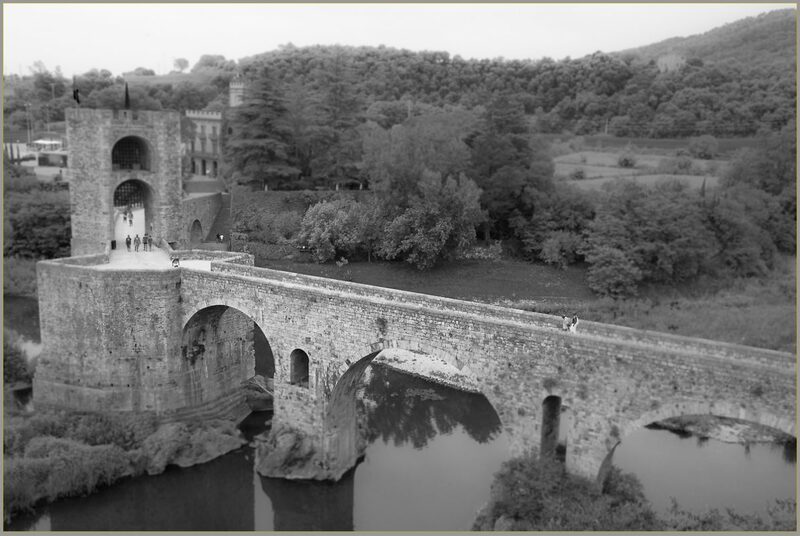 It is a 12th century fortress with a strong jewish history. 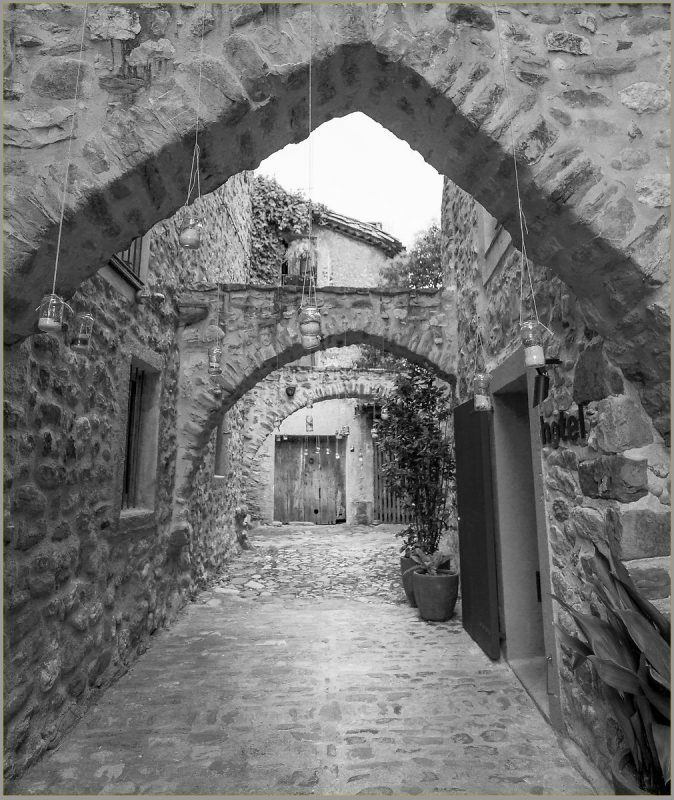 Side streets are very small and bend sharply unfriendly to motor vehicles and great to stroll through.